CHICAGO, IL. — Golf legend, Gary Player, a nine-time major champion and one of five players to win the career Grand Slam, was the featured speaker at the Western Golf Association’s Green Coat Gala fundraiser at the Peninsula Chicago on Oct. 16. The event raised approximately $800,000 for the Evans Scholars Foundation, which provides full college tuition and housing scholarships to caddies. Player, now 80, took a few minutes to speak with reporters prior to the Green Coat Gala. Click here for an edited transcript of that interview. Source Chicago Tribune. 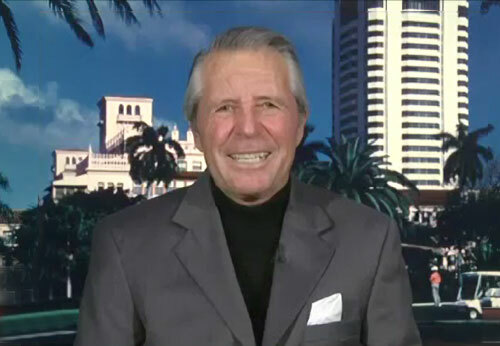 Gary Player is a South African pro golfer who is widely regarded as one of the greatest players in the history of golf. Over his career, Player accumulated an impressive nine major championships on the regular tour and six Champions Tour major championship victories, as well as three Senior British Open Championships on the European Senior Tour. At the age 29, Player won the 1965 U.S. Open and became the only non-American to win all four majors, known as the career Grand Slam. Player became only the third golfer in history to win the Grand Slam, following Ben Hogan and Gene Sarazen. Since then, only Jack Nicklaus and Tiger Woods have won the Grand Slam. Player has won 165 tournaments on six continents over six decades and was inducted into the World Golf Hall of Fame in 1974. Sports Speakers 360 is a booking agent for pro athletes. If you would like to book Gary Player for a speaking engagement, appearance or endorsement, contact Gary Player’s booking agent for fees at 1.855.303.5450.